As the saying goes, once the first domino falls, the rest fall as well. The statement is true, especially when it comes to healthier food trends in large U.S. restaurant chains. For instance, the bakery and café chain Panera Bread will switch to eggs and meat from animals that are fed fewer antibiotics and raised on open pastures. Panera was one of the first dominos to fall, and in September, McDonald’s Corporation had vowed to switch to cage-free eggs by the year 2025. Panera is committed to only using eggs from 100% cage-free hens by 2020 in its over 1,900 restaurants in the U.S. The change applies to the Panera Bread restaurant chains’ and St. Louis Bread Co. bakery-café locations. 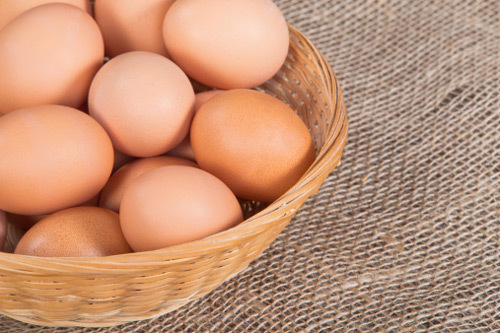 What does switching to cage-free eggs mean for Panera? The change will cover the restaurant’s annual supply of 120 million liquid egg whites, hardboiled eggs, and shelled eggs. The cage-free egg switch also includes eggs used in soufflés, sweets, and dressings. Panera’s definition of cage-free is hens that are raised in indoor barns that allow for a full range of movement. Panera Bread currently uses 21% cage-free hen products in about 70 million of its liquid egg whites, hardboiled eggs, and shelled eggs. Panera also says they currently use hardboiled and shelled eggs from hens fed a vegetarian diet and raised without the use of antibiotics. “For more than a decade, we’ve been working to reduce antibiotic use and confinement across our supply chain,” explained Panera Bread founder and CEO Ron Shaich. In 2015, Panera had committed to switching its entire pork supply to a vegetarian-only diet, raised without antibiotics, and gestation-crate free. That accounts for approximately seven million pounds of pork. Panera is also set to complete its switch to 100% roasted turkey and chicken in salads and sandwiches from animals raised without the use of antibiotics in 2015. The restaurant also said the company will meet the criteria of 89% free-range and grass-fed beef cattle in about four million pounds of their annual beef supply. Panera has not yet set a date to completely switch to 100% free-range and grass-fed beef. According to Panera, grass-fed beef are sourced from cattle that can graze and freely roam in pastures during their entire life. In a report published in September from Friends of the Earth, Panera Bread was among the two restaurant chains to receive an “A” grade for their strict antibiotics policies. Chipotle Mexican Grill had also received an “A” grade. In the report, Panera also reports to have organic vegetarian options on their menu. The Friends of the Earth report believes other top restaurants should continue to follow similar changes like Panera and Chipotle. “Panera Bread Shares Animal Welfare Progress and Makes New Cage-Free Commitment,” Panera Bread web site, November 5, 2015; https://www.panerabread.com/panerabread/documents/press/2015/animal-welfare-press-release-11012015.pdf. Baertlein, L., “Panera moving to cage-free eggs by 2020,” Reuters web site, November 5, 2015; http://www.reuters.com/article/2015/11/05/us-panera-bread-eggs-idUSKCN0SU1O520151105#MroBtQR8TjZsETzf.97. Slater, J., “Panera Bread Says It Will Move to Cage-Free Eggs by 2020,” ABC News web site, November 5, 2015; http://abcnews.go.com/US/wireStory/panera-bread-move-cage-free-eggs-2020-34993269.